Bringing a new pet into the family is a wonderful, joyous occasion. Especially if the pet has been adopted from a shelter or a rescue group and therefore you are giving it a new, loving family. Often, families decide to adopt a pet around the holiday season so that at least some members of the family will be at home for an extended period. This is a wonderful idea as it allows the pet time to get used to its new surroundings, new rules and boundaries and bond with its new family. What people sometimes forget, however, is that there is no such thing as a perfect pet – just like us they have individual personalities which can bring challenges around behaviour, fears, habits etc. So it takes plenty of time, patience and love to integrate a pet into its new home. When children return to school and parents go back to work, often the new pet is left alone, after having had weeks of company. This can cause separation anxiety, destructive behaviour, barking, spraying and escapism. Unfortunately some families don’t know how to cope with this challenging behaviour and too many times pets are surrendered to shelters or rescue groups. In addition, the fact that a dog will live up to 12-15+ years, and a cat up to 20 years is often overlooked in the euphoria of owning a pet, perhaps for the first time. 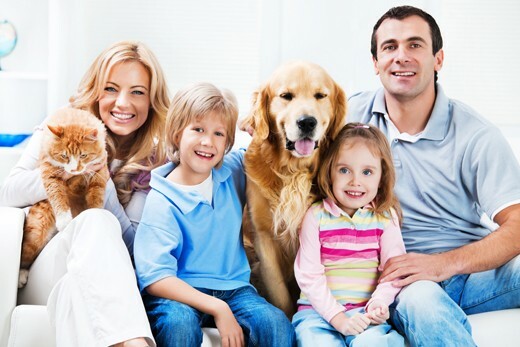 During the lifetime of these pets, there are many expenses such as yearly vet checks and vaccinations, unforeseen medical costs, pet insurance, training, socialisation and of course food. What about when the family goes away on holiday? There are boarding fees or in home pet minding costs which all need to be factored into the cost of the family’s holiday. In the past, rescue groups and shelters received a peak in surrenders and abandoned pets around May. Some of those admissions were attributed to families who had not properly thought through the decision to adopt a kitten or puppy at Christmas time. However, anecdotally the rate of surrenders for these reasons appears to have been declining over the years, which is fantastic, meaning people are beginning to understand how important it is to look after a pet for the whole of its life. Bringing a new pet into your family is a wonderful, compassionate thing to do, but please remember “a pet is for life, not just for Christmas”. If you are prepared to commit to this pet for its lifetime, with all the joy and challenges it can bring, we hope you have many years of fun, love and companionship together.